Earlier this week, a video clip of Kamala Harris speaking in 2010 at an event hosted by the Commonwealth Club started making the rounds. The clip shows Harris, who was then the district attorney of San Francisco, championing her efforts to combat chronic school truancy by prosecuting parents of students who habitually missed class. “This was a little controversial in San Francisco,” she said with a laugh. Combatting truancy is a smart approach to crime prevention. Every fall I send out letters to parents of all SFUSD students informing them that truancy is against the law. During the school year, prosecutors from my office hold mediations with parents and truant students to reinforce this message and urge them to get help to improve their children’s attendance. In most cases, attendance improves. When it does not, my office prosecutes parents in a specialized truancy court we created that combines close court monitoring with tailored family services. To date, I have prosecuted 20 parents of young children for truancy. The penalty for truancy charged as a misdemeanor is a fine of up to $2,500 or up to a year of jail. Our groundbreaking strategy has worked. After Michael’s parents did not respond to repeated pleas from the school district to get him in class, my investigators served his parents with criminal complaints. His parents appeared in court and agreed to work to get needed services and get Michael back in school. Michael missed only three days the following school year. He got extra attention from teachers to get on track and one parent has even become a school volunteer. But the centerpiece of her efforts was, as she described it in her 2010 speech, the “stick” of potential jail time and fines. While on the surface, anti-truancy programs have a great ring to them–Harris has adopted the phrase “smart on crime” as her tagline–there’s another side to anti-truancy programs. Last year ColorLines covered anti-truancy programs in Los Angeles Unified School District that mandated $250 tickets be handed out to students who were late to school. Once they’d received a citation, students had to show up in court accompanied by their parents on a school day to either pay the fine or plead their case. Every subsequent offense led to more expensive tickets and more serious punishments. LA parents were warned that they could lose their public benefits if their students didn’t show up to school on time, and the harsh policy has ended up creating truants instead of curbing truancy. It was black and Latino youth who were more likely to get caught up in the system–it’s also black and Latino youth who are more likely to be poor, more likely to depend on unreliable public transit to get to school and more likely to have younger siblings to take care of and family responsibilities to tend. 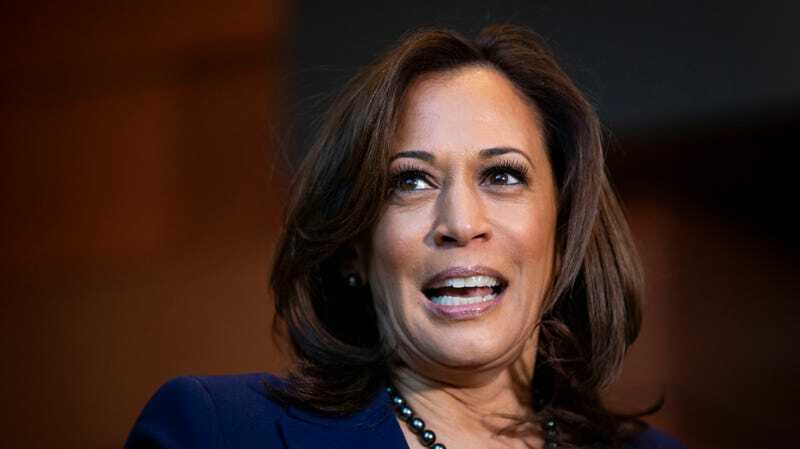 Harris’s work as a prosecutor has received necessary scrutiny in the lead up to her 2020 campaign announcement, with many progressives and leftists pointing to her record as a prosecutor and attorney general as a reason to view her more recent turn toward the left with skepticism. This kind of critique isn’t limited to Harris—Democrats have for decades marched in lockstep to help create our mass incarceration crisis and punish poverty with criminalization—but as Harris runs on a platform of being “for the people” and touts her criminal justice reform record, it’s worth asking what those things have looked like for most of her career.